At Access - Smile the smile you've always wanted is affordable. Our dentistry skills are world class. 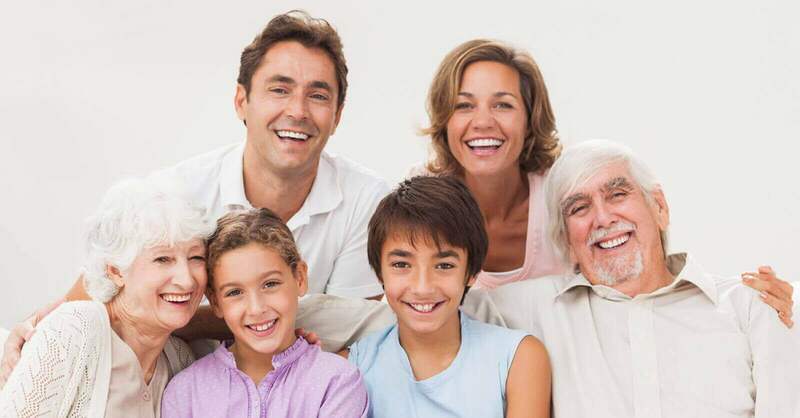 We source and use the highest quality materials currently available so our specialist dental team turn your smile into an exceptional smile, whether having dentistry at home of dental treatment abroad. A smile is how you greet the world. Let's make yours great. Find out more about dental treatment overseas. 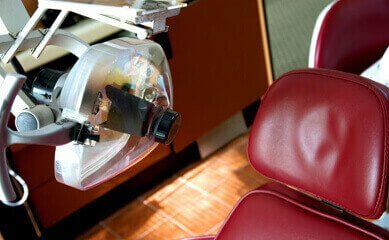 We believe that good dentistry is a combination of top class training, excellence in customer service, the latest in equipment, decades of practical experience and perhaps the most important aspect of all, a genuine passion for what we do. Please accept my sincere thanks for arranging my appointments, hotel, driver etc. for my dental treatment. The service was wonderful, from the time the driver met us at the airport, to Martin collecting me at the hotel. Meeting Annika again was so reassuring. From the time I met her in Dublin, I trusted her. I am very grateful that she did the work that I needed and she did it so pain free for this very nervous patient. I would be very grateful if you tell her how much I appreciated her sensitivity and professionalism. She has taken my fears of dentist, from childhood! I am delighted with the work she has done and with Stephen's work also. When you passed by to say hello that day at the desk, my mouth was stiff so I could not express my thanks to you for all your help. So please accept it now. My colleague Evelyn Connaughton is travelling at my recommendation to you next month and I have assured her she has nothing to worry about. 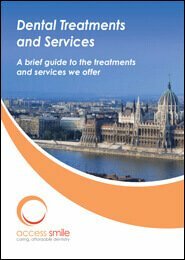 I will be happy to tell anybody I know that the service at Access Smile is so professional and friendly and that Budapest is a beautiful city. We saw a magnificent production of Swan Lake in the Opera House, went to a wonderful concert, and saw many other interesting sights and had a great job done by Annika - a perfect week! So, my sincere thanks to you and all the team and please pass on my grateful thanks to Annika. My name is Dan Lowe and back in June of 2015 I made a decision that would change my life and I mean change my life. At 43 and counting ... I had a front tooth crown come lose and had desperately tried to reuse the crown with some do it yourself dental cement, this lasted for a month or so but the smell was becoming too much. So I looked around at dentists that could or would help in my local city the price varied from one to another as did the story as to why it could or could not be done. With very badly stained chipped and damaged front teeth and missing back teeth in all four corners of my mouth, chewing food was getting progressively more difficult to the point where I would get indigestion from every meal. I was desperate for help and felt that every dentist I went to was either charging ludicrous amounts and I'm talking upwards of £25k to put it right and then there were those who said "it cannot be done"
What do I do now ? Check on the web someone said so I did, and I came across Access Smile. So as the web site advised I gave my details and awaited a call back - not sure of whether they could help or were one of these 'now you see me now you don't' type of web based company that seem to be popping up all over the place. The call came in and it was a woman called Kami. From her voice, tone and words I felt comfortable enough to tell her just how sad I was with the whole sorry affair of my smile, bite and chew. Kami made me feel relaxed and advised that everything they did was on a step by step / pay by step basis so as not to incur any unnecessary costs. Kami said that first she would need to see some scans. £40.00 was the cost and she booked me into my nearest CT Dent scan centre. Still unsure I went thinking what the heck it's only £40.00 and what if they say they can help ! Wow I thought this is refreshing, looking over the dental plan over and over again, discussing it with my partner and considering all the costs i called Kami back and she talked me through it all still advising that it is a pay by step process and that I could back out at any time without incurring any costs at all so I went for it. First I chose to go to London to have 2 implants put into my jaw bone, this took 1hr and 15 mins and the implants were in .... job done now for the healing time. On the drive back I felt the need to call Kami and express just how I felt. 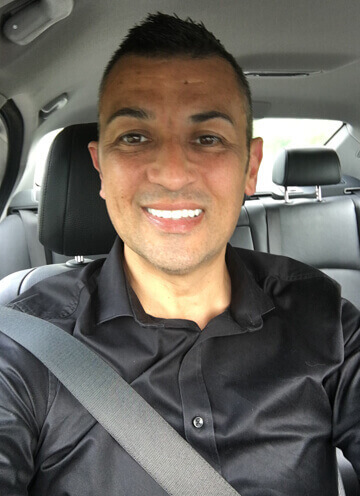 The call got emotional as for over ten years i'd suffered with poor teeth and I was now on my journey to a better smile, bite , chew and it was down to the way Kami handled my case that kick started my journey. 2 months later and being 6ft 2 and 17.5 stone I decided my new teeth needed a new body so I joined the gym in prep for my 6 day trip to Budapest in January. The healing time went well and I could not wait to get to Budapest but on the day of travel 18.1.2016 I was really nervous and travelling alone on an evening flight to Hungary , the anxiety was kicking in. When I arrived I was met at the airport and taken to my hotel and given a pick up time the following morning. Well I'm here now, no going back. The next morning I was picked up and taken to the dentist. 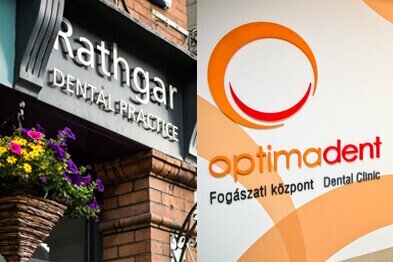 I was really apprehensive now but as I walked in this was all dissolved as I along with 3 others met the team and our specific dentist and dental nurse, mine was Judith and can I say she made me feel great, a truly dedicated professional who spoke fluent english. I got in the chair thinking 1st day in five must be just an examination sort of thing ..... how wrong was I . These guys went to work there and then talking me through each step of the way, 14 YES 14 hours later and having gone through every emotion I was leaving the dentist at 11pm, where in the world would you get people working round the clock to get a complete stranger prepped for the next stages of my dental work. Three days I have to now look round Budapest. Company mobile provided and painkillers at the ready I went on a 3 day walkabout and had a great time, what a city. But I'm not here for that so let's get back to the dentist. Its now Friday afternoon and I'm on my way back to the dentist, first fitting of my new teeth and there was some minor corrections needed "oh no i thought i can't come back over here" Oh no said Judith we will have these done tonight and we will work on saturday to do the final fit of your new smile. Wow again these guys are great. Saturday morning and I'm back at the dentist for the final fit, all done by 4pm and I just wanted to jump up and down I gave the dentist a super hug and thanked them before returning to the hotel where a couple I had met had planned a NEW TEETH party, we were all so pleased we just couldn't stop smiling and of course nipping to the loo to keep checking. That night I face-timed my partner back home and she too was amazed, Sunday was the flight home and job done. Now it was January , I'm back home and it's freezing. I'm still going to the gym to no avail but I feel different; a total lack of desire to eat rubbish or drink coffee by the bucket load. Why would I want to stain my lovely new teeth or risk getting junk food all over them? Within two months I've lost a stone and by May I've lost 2.4 stone. Now I'm not saying it's down to having new teeth but I feel they have played a massive part also due to being able to really chew my food and digest it without hindrance. 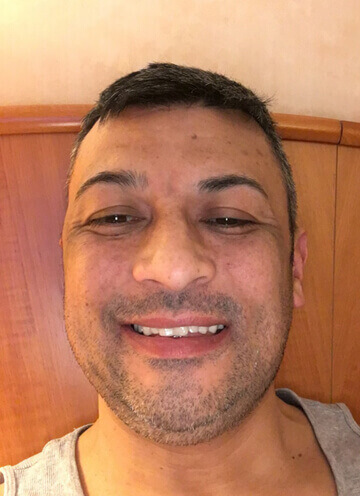 A truly heartfelt thank you to Kami and Access Smile ….. you really did help me Access MY Smile.